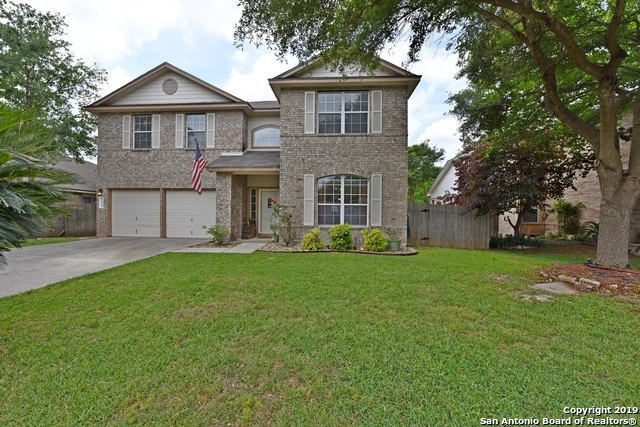 All BLUFFS OF WESTCREEK homes currently listed for sale in San Antonio as of 04/25/2019 are shown below. You can change the search criteria at any time by pressing the 'Change Search' button below. "Huge family home on beautiful tree lined street and greenbelt lot. Popular Centex 3048 flrpln with added Florida room adding 252 sqft. No carpet downstairs. Open island kitchen with tons of natural light. Lots of space to spread out, massive mstr BR & mstr closet and updated master bath. Solar screens, storage shed, water softener. When highway is done, no lights on drive to Lackland AFB. Roof replaced and outside painted 8/2015. New AC unit 2018."